The Vegetarian Diet: How to do it so your dog gets everything it needs! Many people today want to feed their pets―dogs, and even cats―a vegetarian diet because they themselves are vegetarian. While it is great for humans to want to do this because, as a species we eat far too much meat, it is not ideal for dogs, and especially not for cats. However, if done properly, with a lot of careful thought and planning it is possible to provide your dog with the necessary nutrients. Here, eggs are your best friend―despite being classed as non-veg in India, eggs are not meat and, unless fertilized, have never had the potential to become a life. You can also purchase free-range eggs (or desi eggs, in India) if you are concerned about the welfare of the hens being used to produce the eggs. As protein is the most important aspect of any pet diet, you should start with ensuring you are providing the recommended quantity of this nutrient for your dog. If we take a 10 kg dog as our example, we should be aiming to feed 250 g of food per day (2-3% of its body-weight). As no meat will be provided, the protein must come from eggs, grains, and legumes. When it comes to the digestibility of plant-based proteins, soy in the form of soya chunks is the best one tested so far. Feeding whole legumes, such as lentils or soybeans is also an option, but they are not easily digested by the short digestive tract of the dog, so the vital nutrients are not utilised properly. Cooking them very well does help, but the digestibility compared to meat is still poor. This is evident when you feed diets high in rice to dogs: there is almost always undigested rice in the dog’s poop. So you can feed just soya chunks, just lentils, or a mix of the two, or even add in a small amount of rice. Ideal vegetables for a vegetarian diet include pumpkin (canned or fresh, depending on what is available), carrots, green beans, sweet potato, spinach, courgette (zucchini), and peas. But, as with grains, these are not easily digested by dogs, so cooking them well or blending them in a food processor will help your dog to get as much nutrition as possible from them. Although not essential to a dog’s diet, vegetables will provide some of the vitamins and minerals that are be missing from a meat-free diet. The eggs in this meal will provide about 8 g of fat (10 g fat per 100 g of egg), which is slightly less than the 13.25 g recommended for a 10 kg dog (5.5% of 250 g of food). However, the fat in the soya chunks (2.4 g) will top it up slightly, but it will still be a few grams short. So you could add a few grams of olive or coconut oil to your dog’s meal to make it up. Both olive and coconut oil have their own health benefits, especially for your dog’s skin and coat. You could also give natural peanut butter as a treat during the day (no added sugar or salt)―a 6 g serving will provide about 3 g of fat. If you are vegan and want your dog to be too, the first thing you need to realise is that it is unnatural for dogs to live this way, and you are going to have to put a lot of consideration and effort into providing a complete, balanced diet for you your vegan dog. In the wild, a dog would never be vegan―no matter how scarce meat might be, they will always find animal protein in some form. My recommendation it that vegan dog owners acknowledge this and feed their pets some animal protein. It is the owner’s responsibility to ensure that the animal they care for is getting the nutrients they require, but is it actually possible to feed a good homemade balanced diet using only plant-based products? Well, let’s see. Again we will use the example of a 10 kg dog. With no eggs in the picture, the protein component of the diet, which needs to be about 50 g, must come from foods such as soya chunks, lentils, and grains. As soya chunks are 52% protein and have a reasonable digestibility, this should make up the bulk of the diet, otherwise it is going to fall short on the protein content. Chickpeas are an excellent source of omega-6 fatty acids, and vegetables like carrots and spinach will provide the highest amount of vitamin A. The recommended 13.25 g of fat is going to have to come from added oils and/or peanuts. If you omit this vital macronutrient, your dog will be at risk of fat-soluble vitamin deficiencies (vitamins A, D, E, and K), and poor skin and coat condition. Almost all of the protein in the above meal example comes from the soya chunks. If you don’t feed your dog soya, then it will not be possible to meet its protein requirements. Peanuts contain 25 g of protein per 100 g, which is quite high. However, you can’t feed 200 g of peanuts to a dog every day; the fat content of this would be 32 g, so your pet would soon become very fat, not to mention be at serious risk of pancreatitis. So, although it is possible to meet the protein requirements, you are limited as to the source, and if your dog doesn’t like soya chunks, well, then you are going to have to consider a different diet. If your dog doesn’t get the nutrients and protein it needs, it is likely to experience many health defects. As a dog owner, it is your responsibility to ensure that this doesn’t happen. 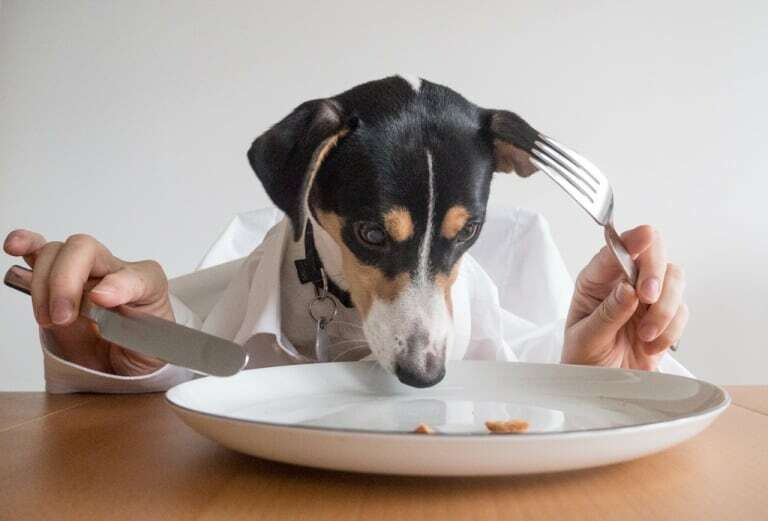 There are many different types of diets for dogs, an in all honesty, the vegan diet is the least suited to canines of any sort and should be undertaken only by people who have the time and energy to spend on creating a complete and balanced diet for their pet. Since the age of 11, after watching the BBC science documentary series Horizon, Becky wanted a career in science. After completing a Bachelor’s in cell and molecular biology and a Master’s in molecular and genetic medicine, she finally settled on immunology as her field of choice, going on to complete a PhD in the subject. 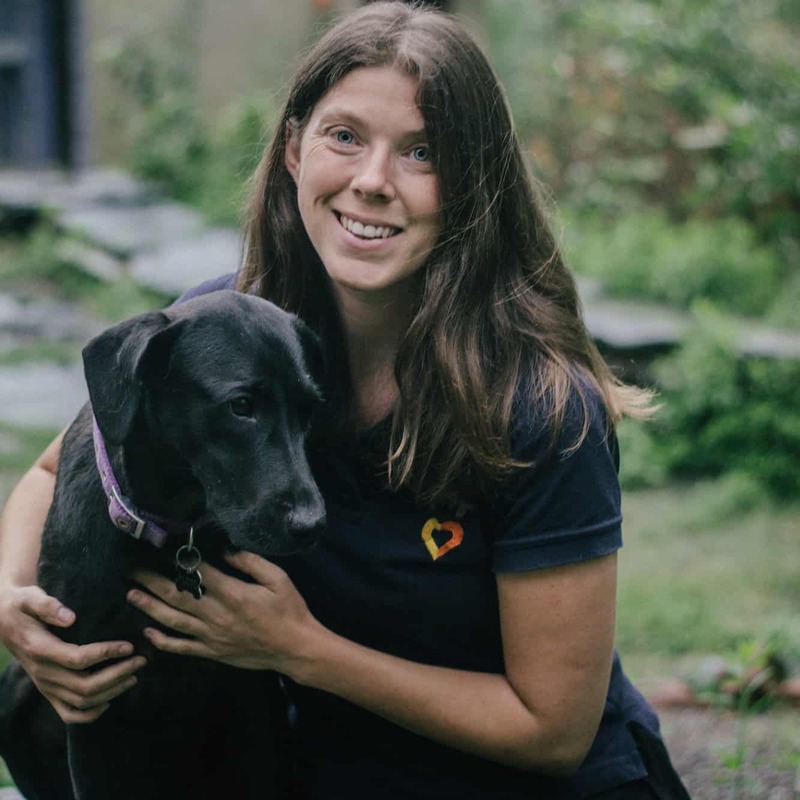 One post-doc later, Becky left England for India, to volunteer at the Tibetan Delek Hospital in Dharamsala, working in the TB section. Feeling quite at home in the mountains, her six-month trip turned into eighteen months. 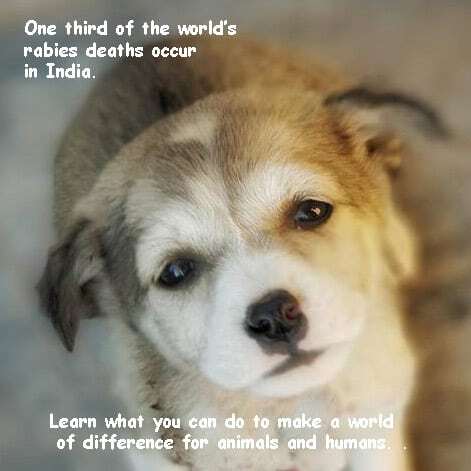 Just as she was preparing to return to the UK in 2014, her good friend Richard from Dharamsala Animal Rescue asked Becky to foster a puppy they had rescued. However, this was no ordinary puppy: Pluto had been diagnosed with diabetes at the age of eight weeks, was very small and skinny, and had a skin condition. Becky agreed to take her in for the winter, researched diabetes in dogs, changed her diet and insulin regime, got her healthy, and decided to adopt her. This was the start of her volunteer work at DAR. 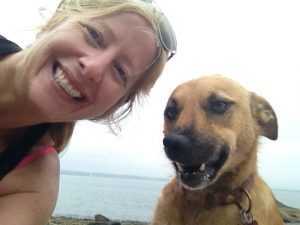 Becky is now a fulltime volunteer at DAR, where she has set up a diagnostic laboratory, and aides in diagnosing and treating rescued animals.